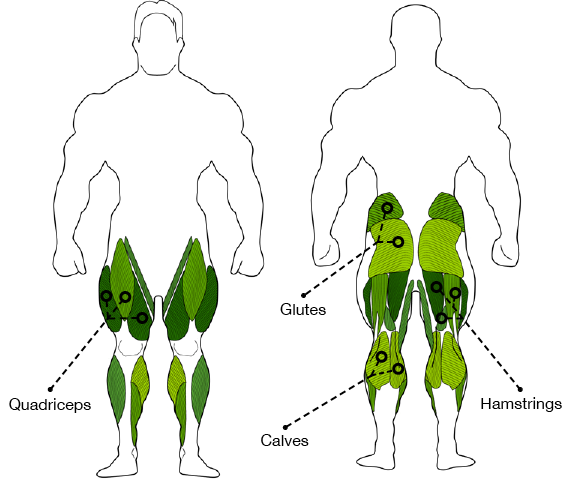 The Seated Calf Raise is a lower body exercise that primarily targets the calves. This is an isolation exercise which is well suited to beginner lifters. The step is important so your heels can go down below horizontal at the bottom of the movement to get a full stretch on the calf muscle. Place a pair of heavy dumbbells on your knees and your feet on a step. 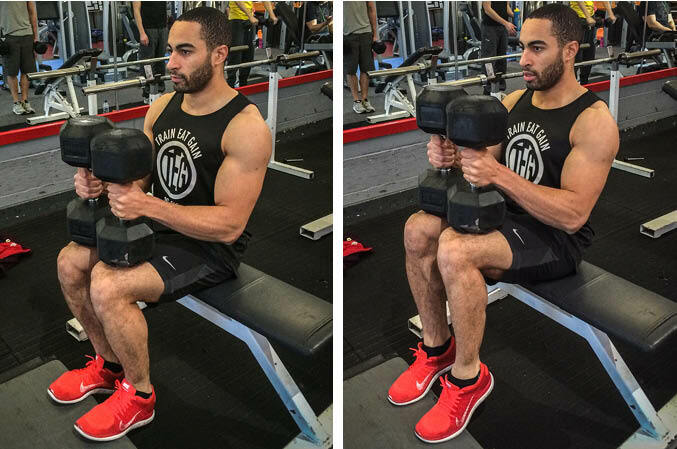 Raise the dumbbells slowly by contracting your calf muscles and pause at the top before slowly lowering the weights, letting your feet drop below horizontal at the bottom.